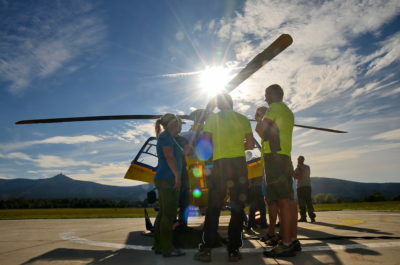 The day was concluded by a simulation of avalanche victimes triage, though so far from the snow and cold (:))! 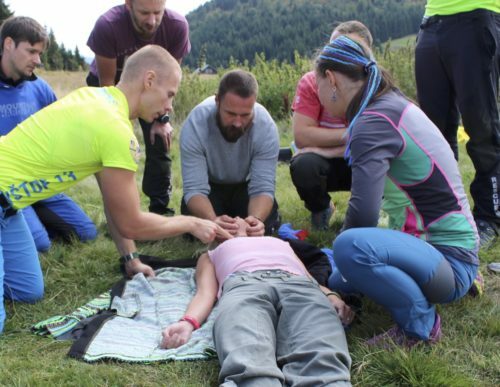 Practical Avalanche rescue training is planned for the Alpine modules in March 2019. 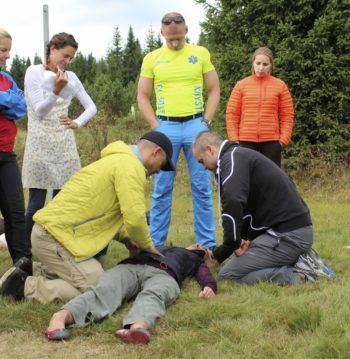 In the morning, the participants were trained in making diagnostic of non-traumatic medical emergencies. 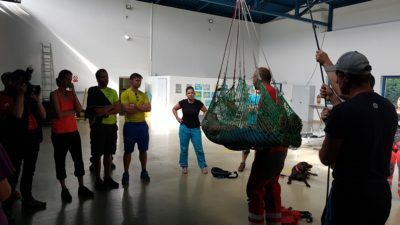 Later this day, during the visit at the HEMS station of Liberec, the group had a great opportunity to induce these skills in practice. 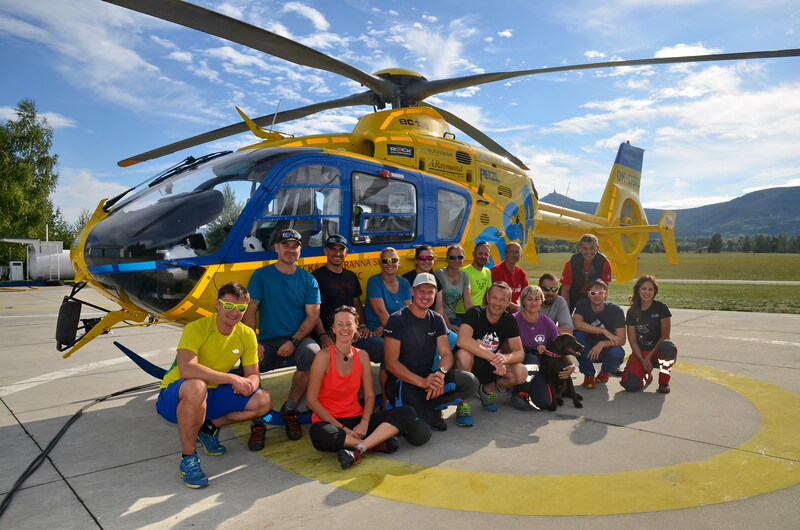 Sincere thanks to the instructors Lucka, Miloš, Marek and Slavo for their dedicated involvement! 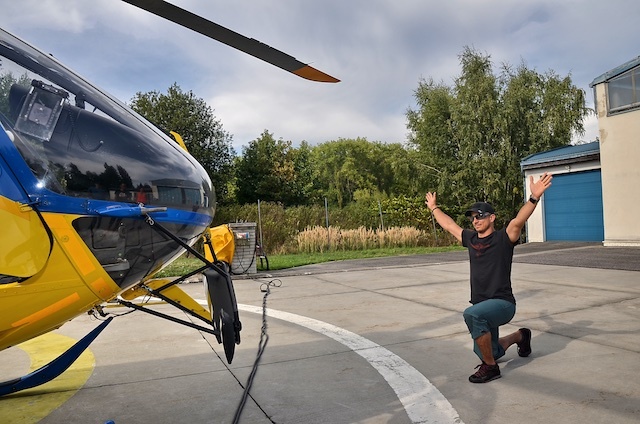 In the evening, Ondra Metelka from Singing Rock company presented some useful climbing and mountaineering materials. Singing Rock is one of the Mountain Medicine Course partners. 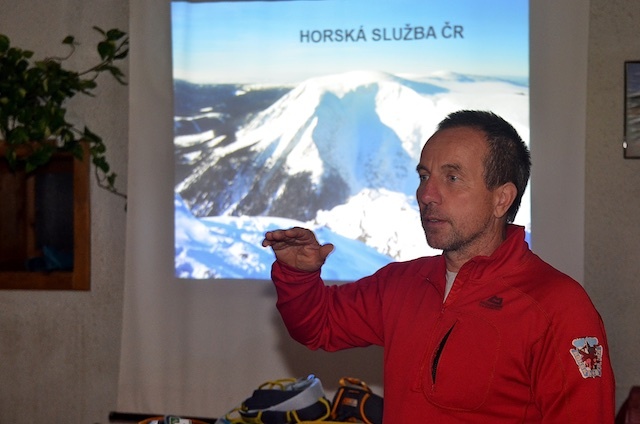 Later this evening Renda Mašín, the head of Jizera Mountain Rescue, presented the function and cooperation of the Mountain Rescue professionals.